Every day they put their lives on the line and provide the protection that allows the rest of us to go about our daily lives without incident. But... its not everyday you get the chance to race and collect four different squad cars. 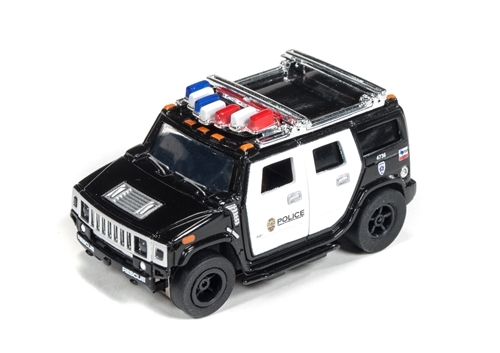 These highway cruisers feature meticulous detail from light bars to dynamic body graphics and are fitted to our famous high-performance X-Traction chassis... Come ride along in “Hot Pursuit” of the bad guys, with our new release of America’s Finest... America’s men and women in blue, dedicated to serve and protect.